I’m a huge fan of summer. It’s one of my favorite seasons, and I really enjoy the sunshine and the heat. Despite my excitement, my rabbits are less enthused that the days are getting warmer. 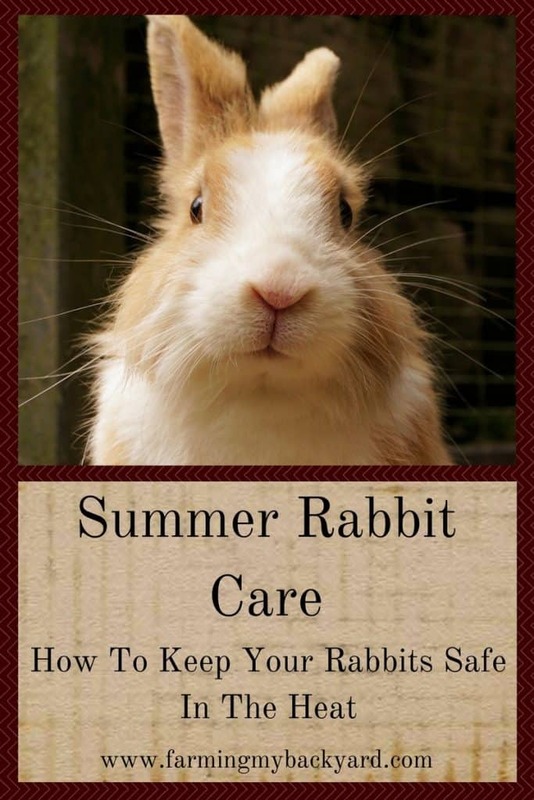 We had a bit of a heat wave this past week, but luckily I knew what to do as I had already researched summer rabbit care. If you have a true colony set up where your rabbits are allowed to dig they probably can handle warmer temperatures by spending the day in their burrows, but rabbits in cages will need extra help in regulating their body temperatures. The best option is to keep your rabbits in an air conditioned location. If your house has air conditioning you can move your bunnies inside during the hottest parts of the day. I have a cousin with an air conditioned bunny barn, it’s pretty awesome. I have air conditioning, but I almost never run it to save on utility costs. Second best is to make sure they are in the coolest location available. I have our cage colony set up in our garage. It’s north facing and the concrete floor keeps it pretty cool throughout the day as long as there is good airflow. I also have hutches outside on the north side of a large tree so it is in constant shade all day long. If you don’t have a large tree growing vines such as squash over the top of your hutch will help keep it cool as well. Even if you have your rabbits in the coolest location possible, they may still overheat without additional attention. Some people use misters and fans to cool the ambient air temperatures around their rabbits. Don’t point the fans directly at the rabbits, and make sure your rabbits stay dry. A continuously damp rabbit is a fly disaster waiting to happen. Once you have the area as cool as possible there are still a few things you can do to make your bunnies more comfortable. Obviously the most important thing is to make sure your rabbit has fresh water available at all times. You can even put ice cubes in their water. There are some cool water bottle ice cube trays out there if you have water bottles or you can just use regular ice cubes in a crock. My favorite rabbit summer care tip is to freeze 2 liter bottles and put them in with the rabbit. They can lick them, or just lean against them to cool down. This seems to dramatically improve the comfort level of my rabbits and right now our chest freezer is largely dominated by frozen bottles for the rabbits. I pull some out for the day and put in the ones from yesterday at the same time so I always have new ones available. You can also put marble tiles in your refrigerator and put them in with your rabbits for cool places to lay down. My cage colony rabbits use the cement floor for this, but I keep meaning to try it for the bunnies in the hutches. Signs that your rabbit has gone into heat stroke is if it’s head is back and it’s panting, or nostrils are flaring. Moisture around it’s nose and mouth is a bad sign, and if moisture has run down the front of the rabbit you may not be able to save it. If your rabbit has heat stroke it’s vital to cool the rabbit as quickly as possible. You can get it’s ears wet, wrap it in a wet towel, or dip the rabbit into a bucket of water to get it moist down to the skin. Make sure the water is room temperature instead of cool so you don’t send the rabbit into shock. Hopefully using the strategies above means that you will never need to treat a heat stroke emergency. Make sure to set up your rabbit home with summer in mind, and gather any supplies you may need BEFORE it gets hot. Now is the time! What state/area are you in? We live in SC, in extreme heat summer. Thanks for your info and explanations. This is helpful for sure! I am in Oregon. Our summer highs only get up to the low hundreds. In areas higher than that you really would need an air conditioned bunny barn. I love your blog! There is so much great information here. 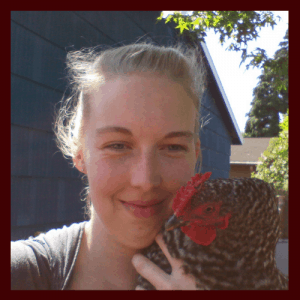 I did want to share something though, that I learned in my research about raising rabbits. (We also raise American Chinchillas!) If a rabbit is showing signs of heat distress, you should NEVER get its whole body wet, as this can cause it to go into shock. Wetting its ears and trying to get it to drink, as well as placing it somewhere cool are all good options. We almost lost two kits last year when it was 117F and my husband forgot not only to put out their frozen water bottles, but to fill their water crocks! The poor little critters somehow made it, but I learned after dunking the first one in the sink that this isn’t good for their poor little bodies. Oops! Thanks! I’m glad they made it! Yes, I would only recommend completely soaking a rabbit if other options aren’t cooling it fast enough and it’s at risk of starting to have seizures. Rabbits eat and drink mainly at dawn and dusk. Chances are you won’t see them drink much during the day. However, if they’re obviously not drinking at all, that could be a sign that they are sick. You can try to encourage them to drink more by making sure all the water bottles are clean (algae tastes gross! ), bringing fresh water out daily, and making sure to offer cold water in hot weather and warm water in cold weather.